﻿ Sunset Garbage Collection Inc. Recycling "every" thing is not our goal but recycling the "right" thing is and we need your help! If you have questions about what is recyclable, please view our website or contact our office. Welcome to the Sunset Garbage Collection web site. We are a full service garbage and recycling collection company serving residential and commercial customers in Clackamas County and Multnomah County of Oregon. 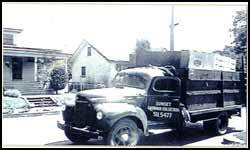 Sunset Garbage Collection was founded in 1919 by John Guinazzo and began as a one-man route in lower southeast Portland. Later, in 1934, John branched out to serve a country trailer park on SE 82nd and Harney that no one else would serve and continued to grow in that area. In the mid 1950’s, John’s daughter, Flora and her husband, “Jack” Schwab, purchased the business from John and expanded its customer base into Happy Valley and Clackamas County. In 1970, Clackamas County issued franchises for all solid waste services, residential and commercial, in the county. This is the area that Sunset Garbage currently services in the county. In 1990, Jack’s son, Steve, purchased the company from Jack and Flora, and partnered up with his sister Carla, in 1992. In the same year, the City of Portland issued franchises for residential service by area, which is the area Sunset Garbage currently services in Portland. Today, Steve and Carla are fully and enthusiastically committed to continuing the long heritage of providing the highest quality and standards of service to their customers and safe and rewarding work conditions for all their employees. 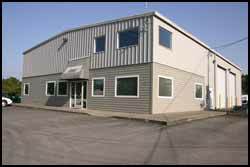 Our facilities are located in SE Portland near Johnson Creek Blvd and I-205, where we service designated areas in Multnomah and Clackamas counties with 14 trucks and 10 employees. Please see the links above for more information on our residential and commercial services. Holiday collection - if your collection day falls on Christmas or New Year's Day, you will be collected the following day, this pushes all collections one day late ending with Friday customers being collected on Saturday. No other holidays affect your collection schedule. See holiday and bad weather info. Household hazardous waste - please do not put hazardous or medical waste in your carts or bin. For safe disposal options or alternatives to hazardous products, call 503-823-7202.